Pictured here, in the conservatory dining room extension of our clients Essex home, is our custom designed, hand painted and handmade, oak extending pedestal dining table. 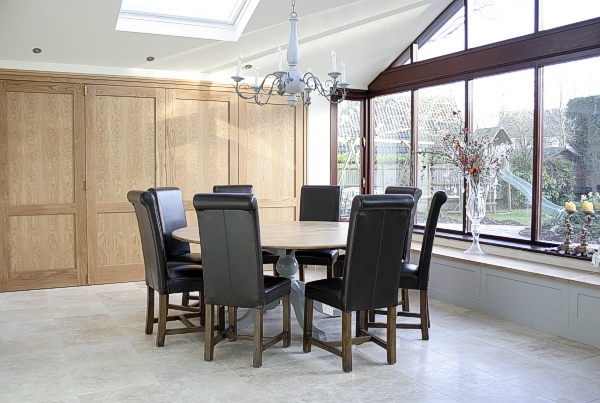 Our clients wanted a cleaner more contemporary look and for the table to match their existing kitchen units. 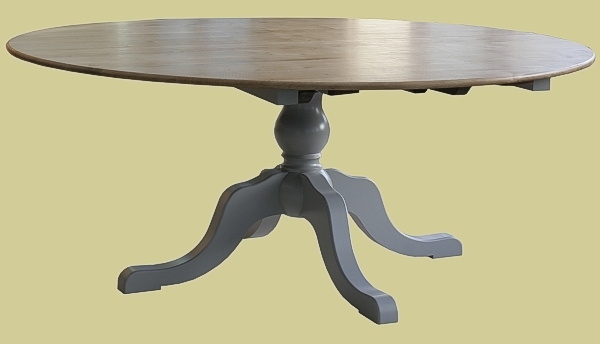 So they supplied us with a small section of kitchen worktop and a Farrow & Ball colour code, for us to get an exact match, as well as a photo of their chandelier (also seen here), so we could use this as a design basis for the centre pedestal support and legs. Click on thumbnail below for full product details.